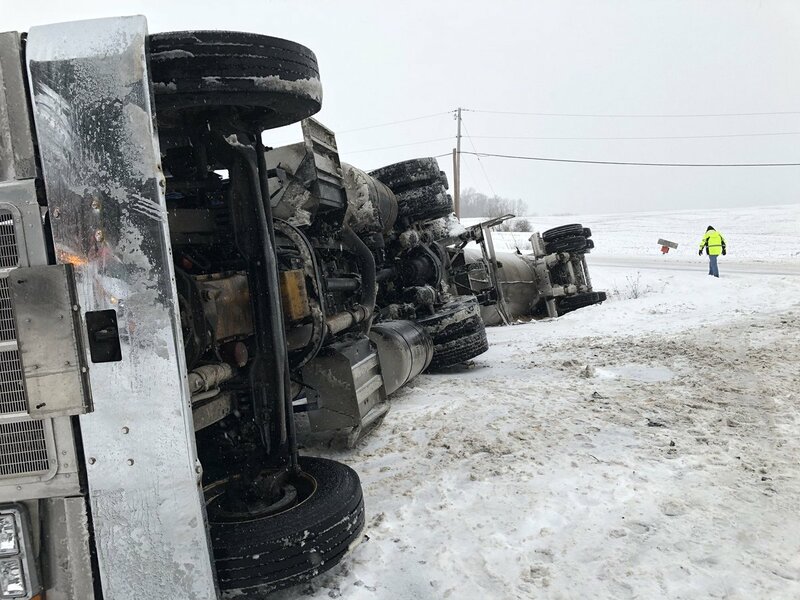 An accident involving a tractor-trailer was reported a little before noon in Ontario County. 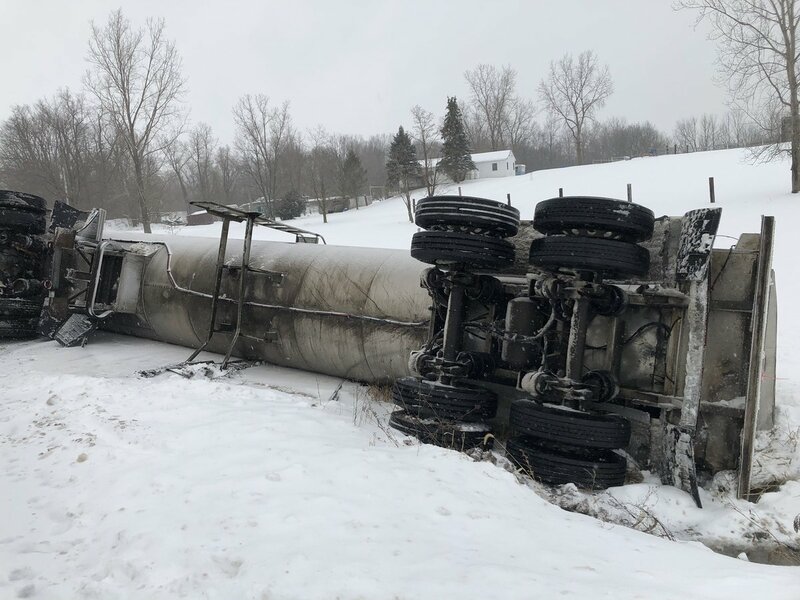 Hopewell Fire Department and other first responders were called to the intersection of County Road 488 and Freshour Road for a crash involving a tractor-trailer, which was carrying a tank. It’s unclear what was inside the tank. 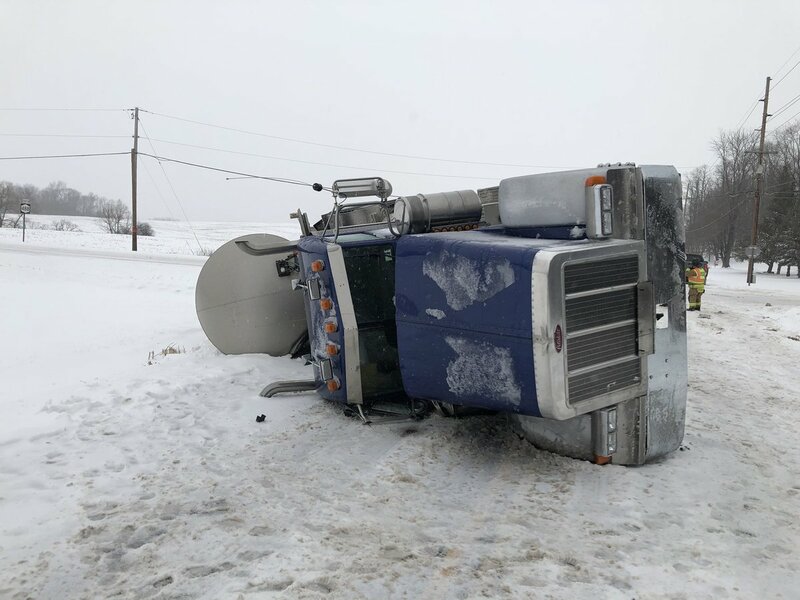 However, the rig overturned alongside the road in the snowy weather. It’s also not clear if weather played a role in the crash. Investigation is underway in Ontario County.